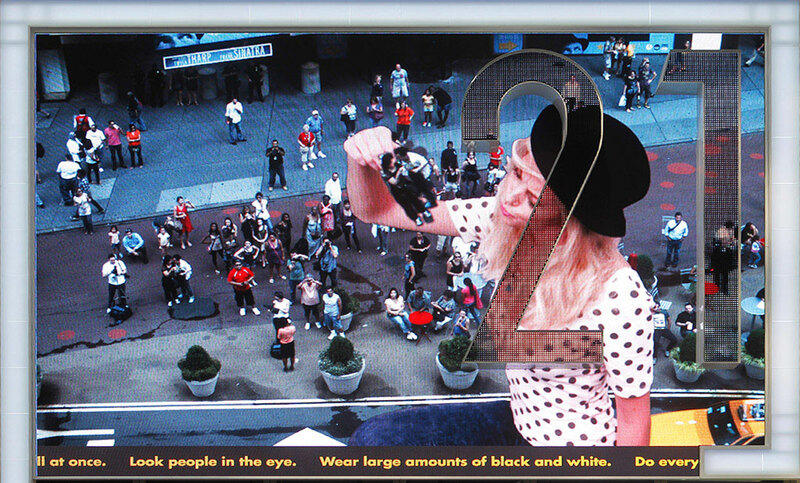 The very first interactive billboard in Times Square features a series of larger-than-life models who interact with the crowds. WHY Forever 21 opened their flagship store in Times Square in 2010 and contacted ad agency space150 to make it a groundbreaking experience. Wildbytes partnered with space150 and played a key role in the production, research, and development behind the gigantic billboard. WHAT The very first interactive billboard in Times Square features a series of larger-than-life models who interact with the crowds. Passersby can see themselves on the billboard thanks to high-resolution computer vision cameras. Some of the interactions include the model taking a picture of the crowd with a Polaroid camera, the model picking up a person and kissing them to transform them into a frog, augmented reality that alters the square’s environment around the crowd, and an effect that sketches the face of a passerby onto the model’s T-shirt. All this in real time. In collaboration with space150, Wildbytes created innovative custom-made computer vision technology that made all these interactions possible in a massively crowded environment.